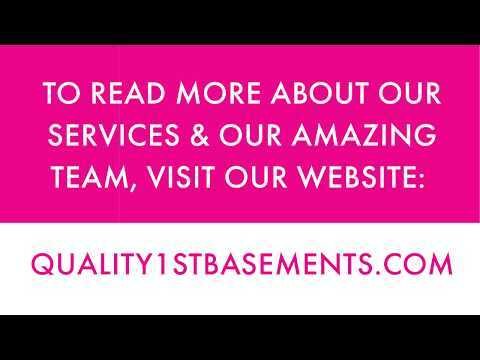 After experiencing water in their basement, this customer contacted Quality 1st for a solution. One of our System Design Specialists, Jonathan L., went out to inspect the basement and determined a solution for the homeowner. Our team led by Victor, went out to install a full waterproofing system with a TripleSafe Sump Pump. The TripleSafe Sump Pump is equipped with an alarm and backup battery to ensure the ultimate coverage.